The Alpha-A modular measurement system is the successor of the single unit analyzers Alpha and Beta which are still available as economical alternatives to the Alpha-A series. The Alpha-A system is more powerful and flexible as it can be extended by test interfaces. The Alpha-A series is therefore recommended for new instrument designs. Note: For dielectric, conductivity and impedance measurements, an Alpha-A mainframe has to be combined at least which one additional test interface. The following common features between the three systems exist. 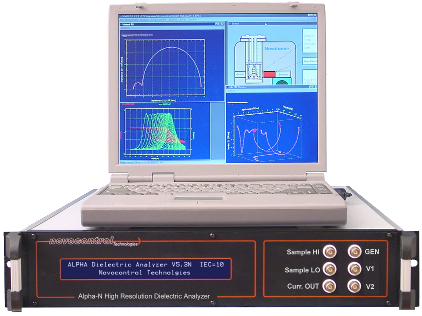 The Alpha-A mainframe + ZG2 interface includes all functions of the Alpha single unit analyzer. 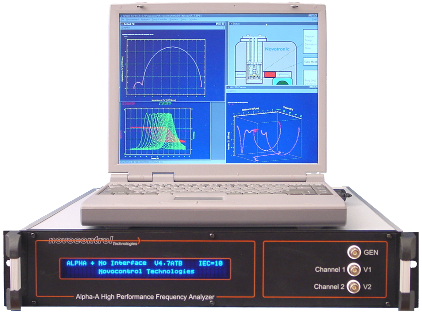 The Alpha-A mainframe + ZG4 interface includes all functions of the Beta single unit analyzer. 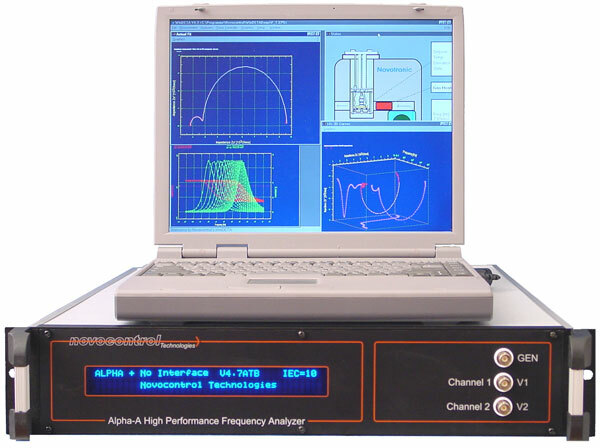 The Alpha-A based systems are more flexible, as the ZG2 and ZG4 test interfaces can be located closer to the sample avoiding long BNC cable connections within the sample circuit. The following features are supported by the Alpha-A system which are not available for the Beta and Alpha analyzers. The Alpha-A mainframe can be extended with additional test interfaces. The Alpha-A mainframe supports automatic firmware updates via the GPIB port and with this is open for new test interfaces to be developed in future. The Alpha-A system supports the fast measurement rate option F for online monitoring of fast time variant processes. 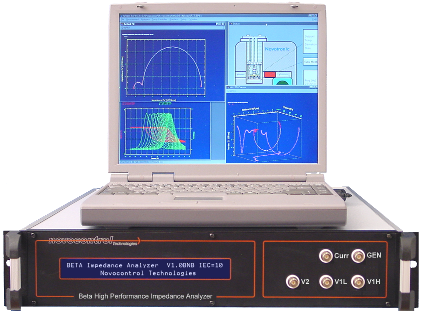 The ZG4 test interface features driven shields for the high impedance differential voltage inputs.